Data-driven participatory planning is helping policy makers and civic leaders better engage the public in local decision-making. Robust engagement improves public planning outcomes, strengthens local communities, and promotes greater civic pride. 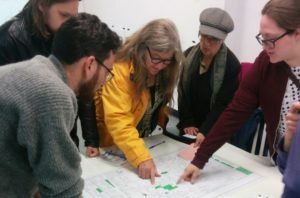 Civicplan’s PlanLocal, a participatory planning process designed and implemented in the city of Hamilton, is an example of innovative engagement that leverages the knowledge and needs of local citizens when allocating infrastructure investments. PlanLocal is designed to use data effectively to create more successful engagement. It does this by using data to reach a variety of communities and to adjust, in real-time, techniques and strategies to improve engagement. It is increasingly important for city builders to leverage data to boost public engagement in their participatory planning efforts. Used intelligently, policy makers and civic leaders can employ data to improve community planning outcomes and strengthen local participation. Unfortunately, all too often, many local leaders struggle to engage significant numbers of citizens in important planning projects. Most of us will have been to a public meeting where there were more city staff and consultants present than there were members of the public. Worse, weak engagement can create a “false consensus” on issues which can result in poor community planning. To some extent, this is the result of an increasingly skeptical citizenry who wonder whether city leaders and staff care about their opinions, or are just asking so they can tick off the ‘public engagement’ box on their project report. However, skepticism or apathy can be wrongly fingered as the cause of poor engagement, when it’s likely more a symptom of poorly-executed engagement. The question facing local leaders in this resurgent post-industrial community is how best to engage a diverse range of people, in significant numbers, to help guide urban development and public spending? Public participation in decision-making is vital to thriving communities and healthy political cultures. We need more, not less, engagement, and we need it to empower local people and provide direct, visible results for their communities. In the city of Hamilton, where citizens have been engaging in a variety of new approaches to participatory government over the last half a dozen years, the need to better engage local people has become increasingly important. Since 2012, citizens have taken a direct role in allocating over $10 million toward infrastructure improvements in their communities. To address this question, Civicplan has developed and implemented a new approach to participatory planning called PlanLocal. Hamilton’s downtown city councillor, Jason Farr, approached us with a challenging project: help him engage his residents to identify and prioritize where $1 million in ward specific infrastructure funds should be spent in 2016-17. This request led to the development of the PlanLocal, a managed public engagement process that makes the most of citizens’ on-the-ground knowledge of their communities. It is based on the belief that no one knows a community better than the people who live there. PlanLocal allows local leaders to capture this knowledge to help prioritize initiatives in a given community. The PlanLocal process involves more than a one-way survey, or a typical Public Information Centre (PIC), to gather residents’ thoughts about an issue. Rather, it allows for a two-way dialogue on how to best address civic challenges, resulting in a better mutual understanding of municipal processes and community issues alike. Establishing a process whereby political leaders can channel public knowledge into actionable projects for city staff is a vital tool for building vibrant local communities. Effective participatory planning needs to connect citizens, city staff, and political leaders in a shared process that is understood by all three stakeholder groups. Establishing a process whereby political leaders can channel public knowledge into actionable projects for city staff is a vital tool for building vibrant local communities. PlanLocal achieves this dialogue through a clear and focused process designed to be accessible, inclusive, and actionable. The first crucial step in developing this process is selecting a targeted, concrete theme as the focus for engagement. Residents and business owners have busy lives and multiple priorities, so it’s important for the process to be as straight forward and clear as possible. For PlanLocal in downtown Hamilton, the Councillor selected the theme of safe streets. The second step is to launch a broad-based outreach initiative to the community, asking citizens to identify unsafe locations in their neighbourhoods. However, engagement goes a step further and asks citizens to propose solutions to improve the status quo. In the downtown Hamilton process, the outreach included 17 distinct avenues of engagement, from traditional public meetings and charrettes to interactive online tools. Further, the range of citizens engaged was intentionally broad and includes residents, business owners, and school-age children, who can bring an invaluable dimension to the discussion. In the downtown Hamilton process, the outreach included 17 distinct avenues of engagement, from traditional public meetings and charrettes to interactive online tools. The third step is to analyze and translate the ideas data into a shortlist that is easy to understand, reflects the priorities of the public, and has been vetted by City staff to ensure all proposed projects are viable. In the final step, residents vote on the shortlist of ideas generated from the community. The process can be available to residents and stakeholders of all ages, with voting available online or at physical locations across the community. Using a variety of methods, the PlanLocal process reaches out to every home and business in project area during this phase. As the process in downtown Hamilton unfolded, we monitored data from voting activity and used this information to expand voting locations from 6 to 19 in order to target specific underrepresented communities, such as seniors. The results are a concrete list of actionable, publicly-supported projects that can be submitted into the municipal budget. Implementation of the successful projects can begin as soon as the following year. Throughout PlanLocal, hard data was used to better understand how the process unfolded. For example, by using data gathered from people describing the safety issues in their neighbourhoods, ‘hotspot’ maps were developed showing who was engaging in the process and where they were located. This data was then used and shared in real-time to adjust the targeting of outreach activities and to challenge communities to participate on the same level as their neighbours. 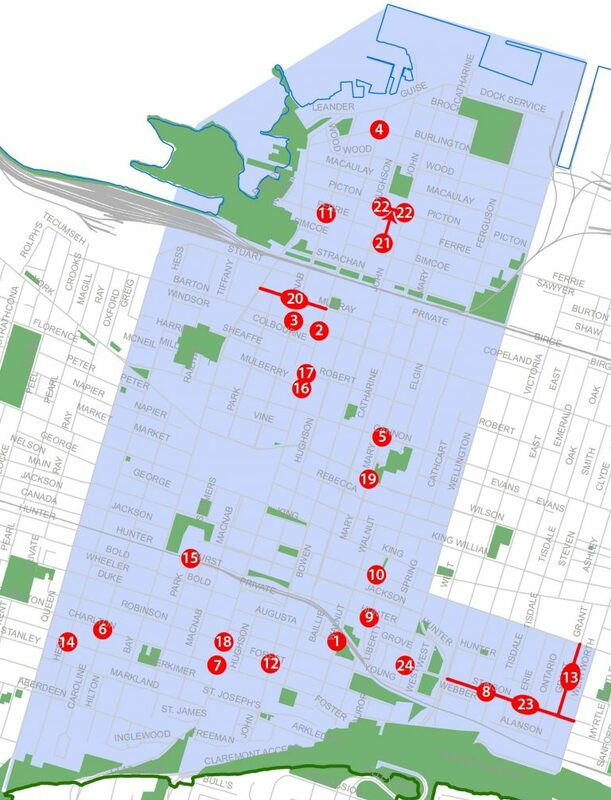 For example, in the case of PlanLocal in downtown Hamilton, over 700 locations were identified and over 8000 votes were cast for various solutions. The data behind these numbers reveals a great deal about neighbourhood participation, the demographics of participation, and the consensus around street safety at various locations. Further, the outcomes from PlanLocal had a high degree of legitimacy given the level of public participation, which is an important step in combating skepticism and apathy. Data collection also helps improve the process moving forward. Civicplan uses the data generated from various sources, including web and social media channels, to better understand what elements of the campaign are effective. Alternatively, we can learn which media have not worked well and use that information to improve our approach. Another key element of PlanLocal is providing ongoing communications with citizens who have chosen to participate. People want to know where their input has gone and what will happen with the outcomes. Thus, an important part of the process is communication in various forms, while the process is unfolding, not just waiting until the end. The flip side of this ongoing communication are concerns over the privacy of any personal data collected. The PlanLocal process also asks citizens specific questions on how their private data may, or may not, be shared. This robust and transparent approach to privacy is a further step in building public trust that helps build engagement. The success of PlanLocal was clear with the measured in the level of engagement doubling in 2016 compared to a similar previous process. What the PlanLocal experience in downtown Hamilton demonstrates is that by using data to create and manage a thoughtful, inclusive, engagement process, civic leaders and the public can work together to address challenges effectively. Finally, when citizens can see the results of their engagement directly in their neighbourhoods, it reinforces the value of their participation and the positive role local government can play in their lives. This article originally appeared in “Digital Cities,” Plan Canada 57, 1. The Canadian Institute of Planners. (Spring 2017): 20-24. Each year, the Canadian Institute of Planners (CIP) recognizes the best feature articles published in Plan Canada magazine. Civicplan received an Honourable Mention award for the article PlanLocal: Data-Driven participatory planning.